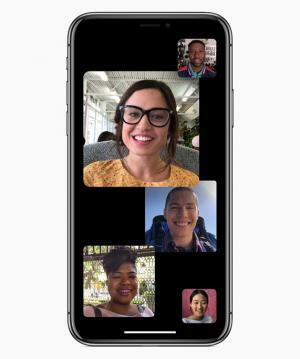 Apple released new beta versions of iOS 12 and macOS Mojave today, and the much-anticipated group FaceTime feature was removed. This feature had been in previous betas, but MacRumors is reporting that beta release notes now state that this feature will ship in a future update later this fall. Apple has done this with features in the past as new OS versions get closer to release. It is common for software developers to hold back a feature if they feel it isn’t ready for deployment. This could be because of an issue with the software, reliability, or perhaps the infrastructure that is needed to support group FaceTime isn’t completely in place for the launch of iOS 12 or Mojave. Sometimes these features follow only days after launch, and other times they take months to appear in a minor update. New macOS beta released and still no update to Contacts app. Maybe they want users to use a 3rd party app? Robert: What were you looking for in terms of an update to the Contacts app? Not every app is going to get new features in every OS release. Single birthday but multiple anniversaries? Robert: Have you suggested these to Apple through their feedback form? I doubt we’ll see more utility functions like these added anytime soon, as they probably want to keep Contacts as a simpler personal tool. These should be the least that they could fix. Yes, submitted these to feedback site almost every time Apple does a beta release. Apple site does not even have a link to Contacts – only Calendar. Other macOS imbedded apps are not so simple. Maybe no Contacts S/W engineers. How do you handle family birthdays & anniversaries? Any videos on Contacts usage? Robert: I have one contact per person. I guess I would just put family birthdays (children, etc) in the note for that contact. If it was very important that I be reminded of it, I would create a calendar in the Calendar app with these miscellaneous birthdays and anniversaries.